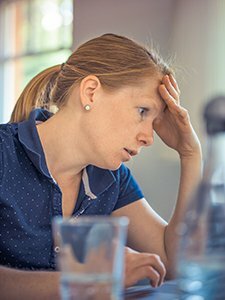 Are you experiencing anxiety, depression or sleep disorders? Surrey Adult Learning offers free courses for adults with, as well as those recovering from, mild to moderate mental wellbeing difficulties. 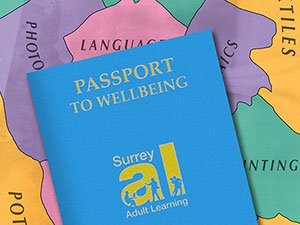 These courses are not part of Surrey Adult Learning main programme but will be created by the Passport to Wellbeing (PWB) team to support your needs. Individual Information, Advice & Guidance appointment to welcome you and talk through your needs. No need for a referral from a healthcare professional. Small supportive groups of people experiencing similar difficulties. Creative subjects to keep you occupied, inspire you, and help you improve your wellbeing. Opportunities to progress on to our main programme of courses or elsewhere. Read about how one of our learners benefitted from attending the PWB programme. Following an informal interview with a team member you may be eligible to join this programme of courses. Terms and conditions relating to these courses are below, however our Customer Service Team will be happy to provide you with more details or put you in touch with the Passport to Wellbeing Team.